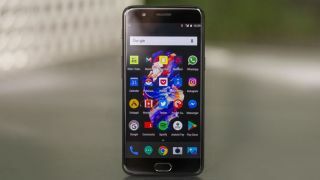 You might have spotted a report on Wednesday raising questions about just how much data OnePlus collected on its users, and how much those users knew about it - prompting a statement from OnePlus about how it collected analytics for fine-tuning its software and providing after-sales support. None of the data is shared with outside parties, promised OnePlus, but now the company has gone further. OnePlus co-founder Carl Pei has addressed the concerns in a blog post and says the company's policy will be changed. Pei says some data is logged to help create "a better overall user experience" in OxygenOS, and that users can opt out by going to Settings, Advanced, then Join user experience program. This also anonymizes the other type of data collected, for providing technical support, but it doesn't look like you can opt out from this altogether. By the end of October, OxygenOS will have a new splash screen asking users whether they want to be involved in the user experience program and making it clearer what that involves. Telephone numbers, MAC addresses and Wi-Fi information will be cut out completely from the data that's collected in the future. "We take privacy very seriously and do not share analytics with third parties," says Pei. "Our intention has always been to better serve our users. Looking ahead, we will continue working directly with our users to do so. We appreciate your patience and feedback." If you need more clarification, you can contact OnePlus directly. All of which means we can get back to the important business of speculating about when the next OnePlus phone might drop and how much we might have to pay to get it.